When Is the Best Time for a Teacher to Have a Baby? Spoiler Alert: You Need to Get Pregnant NOW!!!! Plan to get pregnant between June and August for a spring due date. My first baby, Sam, was born in July. Because I was silly and knew nothing, I was super excited when I found out I had a summer due date: I’d be able to finish out the school year with my students, get to spend my last month of pregnancy sleeping until noon and blobbing around in the pool (which was pretty nice), and *most importantly* not have to worry about my water breaking in class (seriously, that’s my worst nightmare). As it turns out, however, the summer – especially late summer – is actually a terrible time for a teacher to have a baby from a logistical standpoint…. My school system’s policy – and what seems to be the norm – is that teachers receive six weeks (eight for a C-section) of official maternity leave. During that time, teachers may use sick days to be paid for their leave. So, if you have thirty days of acquired sick leave, you will be paid for six weeks. If you have fifteen days of acquired sick leave, you will be paid for three weeks, and the remaining time will be unpaid. Make sense? After the initial six weeks (or eight) of maternity leave, the Family Medical Leave Act kicks in for an additional six weeks to get you to the standard American twelve-week maternity leave. But, here’s where it gets tricky: Let’s say you are a rockstar super planner and you’ve saved sixty sick days for your leave — TOO BAD! You can only use sick leave for the designated medical portion (remember, six or eight weeks depending on the type of birth you had) of your time off. After that, though FMLA guarantees you a job when you return (and some schools/districts may even allow longer breaks), it has to be unpaid. Are you following this? So, back to my story… Sam was born on July 13th and for reasons I still don’t understand, my doctor only approved six weeks of medical “supervision” even though I had had a C-section. If you’re doing the math (if you’re not, I don’t judge), that meant that my “paid leave” time ended about mid August… Right when I was supposed to be going back to school. I couldn’t use any sick days for that time because I wasn’t technically paid then anyway (summer break), but I couldn’t use any sick days for the next six weeks either (even though I had them) because my official medical leave was over and I was now only under FMLA. Have I lost you? The bottom line: I ended up having to take twelve weeks of UNPAID leave because of the way the dates fell. We made it work, and I was fortunate enough to still be able to take that time at home with Sam. However, it wasn’t what we were expecting, and it would have been enough to throw many women right back in the classroom much earlier than they would have liked. On the bright side, I had lots of sick days left when I did return to work which came in handy for sick baby days and doctor’s appointments – a problem many women run into if they’ve used all their time off for paid maternity leave – but still; it was not ideal. Typically, I’d recommend taking the maximum amount of maternity leave you can swing; but, with Nora – because she was my second baby and the end of the school year was so close – I actually only took 7 weeks. (The first four of those were paid with sick leave.) Then, I came back just in time to see my students off to their AP exam, distribute the next year’s summer reading, pack up my classroom, and record final grades (about two weeks total). I actually LOVED those two weeks. They were a great “trial run” for the fall, and the transition was easy because I had a “I can do anything for two weeks” attitude. Plus, I had genuinely missed my students and wanted to see them – especially the seniors – before summer. This probably wouldn’t matter for everyone, but I also really liked having a clear distinction between “maternity leave” and “summer break.” The distinction really helped me use my maternity leave time to rest, heal, and bond with Nora and then to use my summer time to have fun with both kids and adjust to “normal life” as a family of four. Have I convinced you yet?!?! In the end, only you can decide what is best for you, your family, and your career. BUT, hopefully, my experience and advice will be helpful to you as you consider your options! If you have questions, please feel free to email me – samandscoutblog@gmail.com – or leave them in the comments! ALSO, I’d love to hear from some of you about your own experiences! Do you agree with me about the “best” time to have a baby? Please share!!! Not ready to buy the book yet? Come back next week for some of my top tips for returning from maternity leave! *I’m absolutely sensitive to the fact that not everyone – in fact, MANY people – are not able to get pregnant at all, much less “on demand.” This post is meant to be taken lightly with the full acknowledgement that ANY time you have a baby is wonderful and a blessing. Please don’t stress yourself out trying to get the timing just right. If it works, great. If not, you’ll forget all about the “perfect time” when you hold that screaming little squish one day. Promise. *Confession: I started ordering this a couple of years ago after I read one of those Buzzfeed articles titled “The Best Kept Secrets of Starbucks” or something. I actually have no idea if it means the drink is sweetened and has cream OR if it means the cream itself is sweetened thus making the entire drink sweet. This distinction only really matters when I go somewhere other than Starbucks (they can never quite get it right), but if anyone has a deeper understanding of this and can help me, I’d really appreciate it. In the meantime, I DO know that it is delicious (and way too sweet and caloric for my own good). Speaking of new routines, you may have figured this out by now, but another big change for us this year is that our wonderful babysitter/nanny will not be with us… This was a decision we made together many months ago based on what we truly believe will be best for both of us, and she will *always* be an important part of our lives, but we are still super sad that that little season of our lives has come to an end… I can’t even talk about what a gift she was to our family (and to me as a friend) over the last five years. She saw both of our kids grow up, loved them as her own, and walked right beside me in the mess as I learned how to be a mom. It will definitely be very different without her; but, as I mentioned, Nora started at her new preschool/daycare this week; and I can already see how it will be so good for her! She’s definitely a little social butterfly and will, for sure, benefit from more structured “school” days and time with kids her age. So far, she’s done really well – no tears from any of us at drop off, but we’re still working on getting her to stay on her cot and go to sleep at nap time! (Haha, can you even imagine a room of twelve two year olds all napping at the same time?!?! Oh to be a fly on the wall!) Side Note: We randomly found this cute book at the library a couple weeks ago and read almost every night leading up to her first day. It was perfect, and I really think played a role in helping make the adjustment so smooth this week! His has his initials on it (not “Jackson,” obviously) because I read somewhere random not to put his name so a stranger can’t walk up and call him by name… Who knows?!? – I really want this and this too (both under $40), but I’m practicing self control… For now. – I waited too long to order this adorable Honey Bee Tees school bus shirt, and it sold out in Sam’s size, but he still has this one from last year, so we’ll probably work that into his first week wardrobe! Ok. That’s all for today! I hope you’re enjoying this new format! I’d love to hear what you’re talking/thinking about this week in the comments! P.S. These posts are NOT sponsored and ONLY contain products I truly like/love/use, but they may contain affiliate links (Amazon links are NOT). This simply means that I get a teeny-tiny payout when you purchase through my link at no additional cost to you. Anything I get for free/discounted in exchange for a blog post will be clearly stated. You can read more disclosure info on my sidebar if you want, but THANK YOU for supporting Sam & Scout. Long story short, once I got over the fact that it is *called* a diaper bag, I realized that LJ bags totally fit all the criteria I’d made for my “perfect school bag” and then some. Even better, when I emailed them and shared my idea to use this as a school bag for lugging my computer + books + allthepapers to and from work every day, they offered to send me one to try out!!!! I chose the Rosie in Camel and Jade and, y’all, I’m in love. It is PERFECT. So, what exactly makes a bag the PERFECT SCHOOL BAG FOR TEACHER-MOMS? I was hoping you’d ask!!! (1) Size — not too big (this teacher refuses to be the rolling suitcase/crate type. I’m sorry. I just can’t) and not too small (on any given day, I’m carrying at least my laptop, a binder, my planner, and a stack of papers that I probably won’t grade). When it comes to bags, size matters. All of the above fits – comfortably – inside. (2) Pockets — on the outside, there are two big zipper pockets (one on the front and one on the back) that work well for extra notebooks, books, or chargers; and, on the inside, there’s an open pocket that fits my phone and wallet perfectly (so I don’t have to carry a purse too) and a smaller zipper pocket that’s just right for pens, paper clips, highlighters, post-its, etc. (3) Easy to carry — probably one of my favorite features of this bag (and all of Lily Jade’s bags as far as I can tell) is that it easily converts from shoulder bag to cross body/messenger bag to backpack. Most days, I stick with a simple over-the-shoulder carry, but I love having the hands free options – especially the backpack – for the days when I’m also carrying a kid, coffee, and 17 thousand student-journals (it’s hard work avoiding the rolling crate scenario mentioned above). (5) Versatile — honestly, when I ordered this bag, I intended to just take the little diaper bag insert out and shove it in the back of my closet or something; BUT, I was pleasantly surprised to see how easy it is to leave it packed up with all the things I need for a day out with my kids (read: diapers, wipes, snacks, sunscreen, toys, books) and then to simply take my school stuff out and put it in on the weekends or over the summer. The insert is fully removable, washable (key!!! ), has twelve pockets (12!! ), and comes with a matching changing pad. I like it so much, in fact, that lately I’ve kept it packed in my car on its own so I have all the essentials for my “mom life” on hand and can easily do a switch-a-roo with a moment’s notice when I need to. I LOVE that I can get more “bang for my buck*” out of this beautiful bag by using it in both of my important jobs – teaching and momming – and it makes that transition super streamlined (and stylish). So there you go… The perfect bag for teachers, moms, and teacher-moms. If you’re ready to treat yourself, you can pre-order the Rosie in Camel & Jade, like I have, at a discounted price now and it will be shipped some time in July — in plenty of time for a new school year!!! There are also lots of other great styles and colors – I like the Madeline myself, and the canvas Meggan is bigger AND cheaper than mine – available at www.lily-jade.com. I’m, of course, happy to answer any questions about my bag if you have them AND, if you already own a Lily Jade bag, I’d love to hear your opinion in the comments! In addition, please tell me: what’s the criteria for a perfect school bag in your book?!? Thanks to my sweet (and talented) friend Trent for all the photos in this post!! If you need a southwest Virginia photographer, make sure to check out Trent Currin Photography! Often when bloggers take a long sabbatical like this, they come back with some kind of big announcement: I’m pregnant! We’ve moved! I’m writing a book! Unfortunately, none of those are true for me right now (though I do wonder how many people saw the word “pregnant” up above and opened this only to be disappointed -sorryboutthat). Anyway, no news here. No great excuse/explanation. Just life. Things are busy, as always, and I’ve struggled this winter to find motivation to do much of anything other than the very basics (teaching, parenting, and somewhat managing a house). Also, I think taking that “break” from writing in January got me out of the habit of coming here regularly, and I’ve had a hard time making the blog a priority again. Frankly, most days, I just want to spend any “down time” I find taking a nap or reading a book or something equally bummish. I’m not quitting the blog, and I’m not depressed really, this just is where I am. Maybe you get it? Anyway, the last few days have been prettier. The sun is shining, I’ve just returned two huge stacks of graded essays (only to collect more of course), and stories are starting to write themselves in my head again. I miss this place. For so long, I’ve worked to make this a place of encouragement for working moms (specifically, teacher-moms). I want to send a message that this life – though it is hard – is good and possible. I still believe that it is; but, right now, I need the reminder myself. January to March is always a hard season for me professionally (and personally too, since the two don’t separate as easily for me as they do for some). I know that in my head, but it doesn’t mean that the same doubts and insecurities don’t creep up just as intensely every year… This is the time of year when I feel a little bit like a fraud here, because… “maybe I can’t actually be a good teacher and a good mom?” The truth is, I’ve felt like I’m failing a lot more lately than I’ve felt like I’m winning. I don’t feel like the mom who is better because she’s a teacher or the teacher who is better because she is a mom. I just checked the date on that post, and, let’s just say, I think I feel like that person in June (ha). Right now, I feel tired, frazzled, behind, distracted, unorganized, unreliable, and unfun. How’s that for rainbows and butterflies? I like to win. I like to be positive and make people feel good. But, maybe today – just for this one post – what you and I really need is a reminder that it’s OK to not feel that way all the time. A bad week/month/season/school year doesn’t make me a bad teacher, a bad mom, or even a bad teacher-mom. It makes me human. Normal even. While I DO, genuinely, want to create a place on my blog of light in the dark conversations about education and work-life balance in the world today (and I think we can all agree there is PLENTY of darkness), I want – more than that – to be authentic. 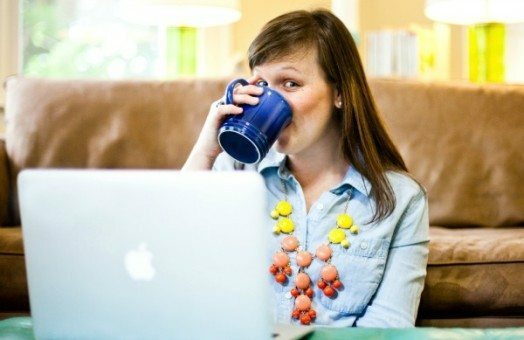 I never want a teacher-mom to find this blog and think that I have it together — to think that because they aren’t “perfect,” that they aren’t good at all. The teacher-mom life, in my experience, is MESSY. There are times when it really does “work,” and there are times when it just doesn’t. During the latter seasons, it is easy to convince yourself that because it’s hard, you are failing. It’s easy to believe the lies that you aren’t “good enough,” “strong enough,” “organized enough,” etc. to succeed at this, and to start wondering if “giving up” is your only option. Listen, I go there too. But winter doesn’t last forever. Like a marriage, or anything worth having for that matter, when we are called to something, we have to WORK for it, and we have to work even when it is hard. In the coldest, grayest days, we cling to the tiny buds of what will, eventually, blossom from our labor — the conversations with kids between classes, the feeling when a lesson plan comes together just right, the kind email from a parent — and we bundle up and endure the rest. Eventually, we’ll get out of the dirt and find the sunshine again. My Maternity Leave eBook for Teachers is LIVE!! Today is a big day for me!!! My eBook, The Stork Doesn’t Deliver Lesson Plans: A Teacher’s Guide to Maternity Leave & Beyond is officially finished and on sale now!!! I had no idea that writing an eBook was so much work (#truth) OR that I had so much to say about teachers and maternity leave, but I am super proud of this thing and excited share it with pregnant/expecting teachers!!! If you’ve been here for a while, you know my heart for both teaching and motherhood. I’m passionate about helping great teachers continue to be great teachers even as they become great moms too. It’s a challenge at times, but it is SO worth it. My hope for this book is that it will be a wonderful tool to help new teacher-moms get started on the right foot with a well-planned and executed maternity leave and a smooth transition back into the classroom when the time comes. This is the book I wish someone had written for me, and it has every piece of advice and encouragement I’d share with my best teacher-friend down the hall if she asked!! I’d LOVE if you’d join me in celebrating my launch today!!! Check out www.samandscout.com/stork or click any of the images in this post for more details about the book / a link to buy AND please share it with anyone you think might be interested – colleagues, Facebook followers, etc. I want to get this in the hands of as many soon-to-be teacher-moms as possible!!! THANK YOU for your support of this project and for giving me the grace to focus on it for the last few weeks -even at the expense of this blog some times. I’m excited to get back to regularly scheduled programming around here soon.